This futuristic home uses its cubed structure to benefit its minimalistic design. Here, our slim side mount posts are put to great use. 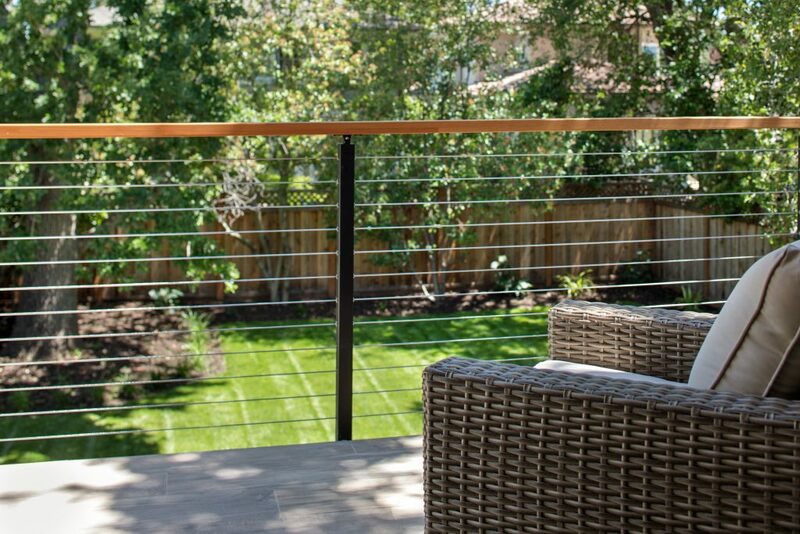 Side mount posts for cable railing are excellent for preserving the maximum amount of deck or balcony space. The fascia mounted posts ensure that your space is as open as possible. Slim side mounts go a step further by keeping their mounting plates hidden. This gives them an extra uncluttered appearance. 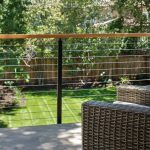 For this project, the customer selected a black powder coat that makes the wood handrail an accent point. Altogether, the project adds to this home’s cool, contemporary appearance.